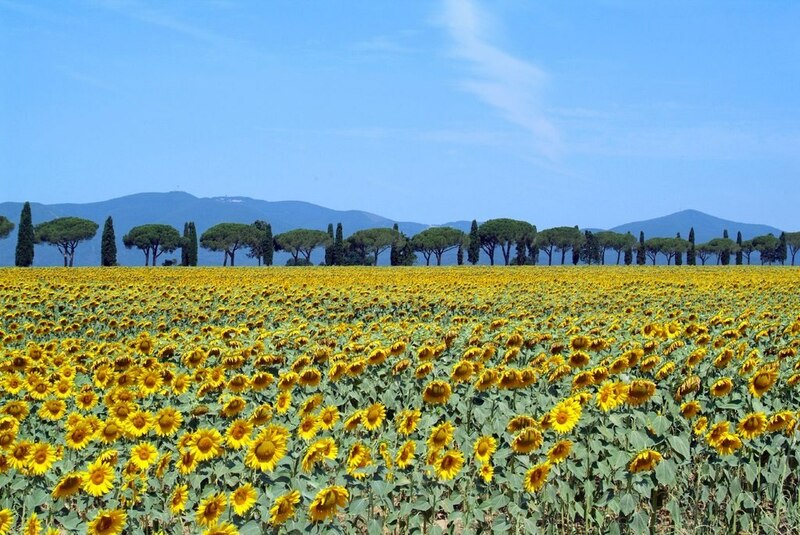 There is a sunny and millenary region in Italy called Tuscany. Speaking of this region is speaking about art and tradition. There is no history book that doesn't mention this region based in the northwest of Italy. 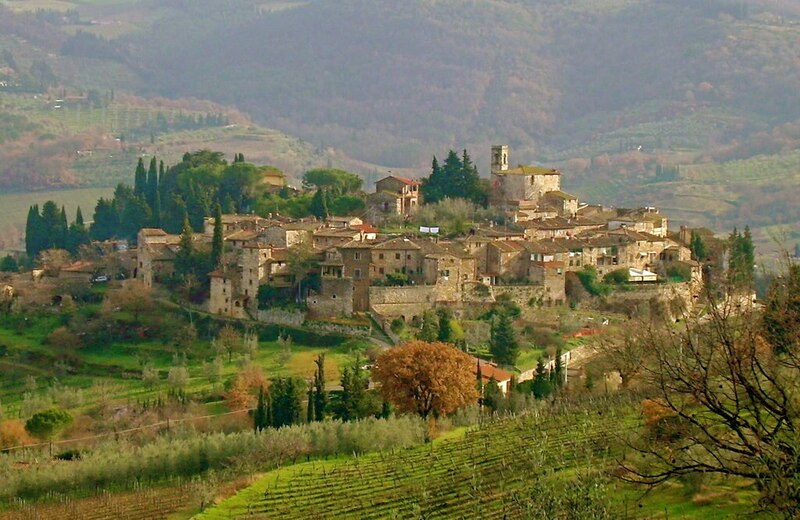 La Toscana is synonym of medieval churches, Mediterranean fragrances, and red sunsets. This article leaves main cities such as Siena, Pisa and Florence to one side and brings you tan undiscovered Tuscany whose beauty still remains in the mountains. In the south of Siena, travellers will find another charming hill town set within a full circle of fortified walls. Montalcino is immersed in the natural park of Val d'Orcia, a valley of medieval castles and charming farmhouses. But if there is something that this beautiful destination is famous for, that's Brunello di Moltalcino, one of the most exclusive and expensive wines in the country (it is made 100% from Sangioves). Volterra is about 50 kilometres from Florence and it's one of the most evocative Etruscan destinations in Italy. 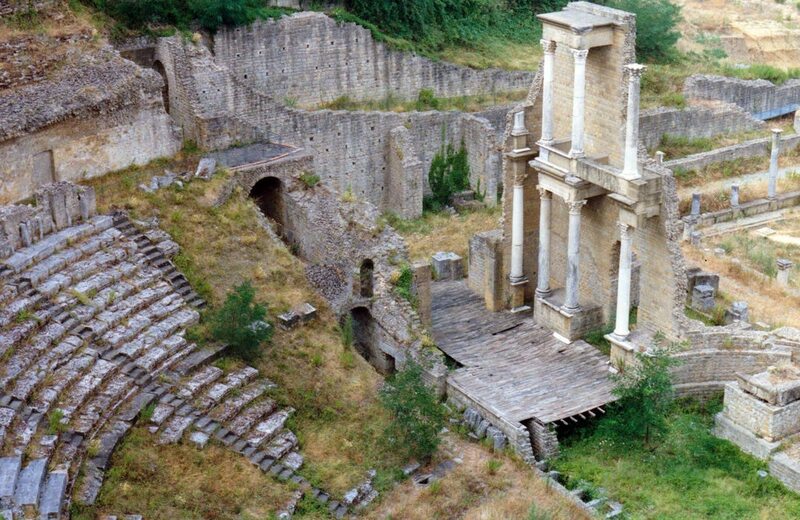 It hides a past of Renaissance, something that travellers can verify themselves whilst visiting places such as the Roman Theatre, its cathedral and the Piazza dei Priori. Top tip: Don't leave Volterra without visiting the Alabaster Museum, housed in an Augustinian convent where you can discover the traditional processes involved in the working of alabaster. It's also known as the smallest Renaissance town in the world. Pienza is one of those places that invite travellers to stay forever- and it encourages more than one to choose this destination as a place for retirement. This city was asked to be rebuilt by leading humanist Enea Silvio Piccolomini, who made possible for the town to become the first application of the Renaissance urban design. Some must-see buildings are the Piccolomini Palace, the Borgia Palace and the cathedral. Wine lovers will find here a perfect place for tasting red wines and finding out more about the Chianti culture in the country- this is the Kingdom of Chianti Classico. Montefioralle is one of those places where travellers can enjoy the silence of a land surrounded by fig trees that grow around the castle, as well as an essential destination for food lovers. In this sense, visitors will be able to discover amazing and traditional cuisine dishes such as the popular Florentine steak or the sweet cantuccini, an amazing dessert to not miss. Based in the Maremma of Tuscany, Pitigliano is also known as Piccola Gerusalemme or Little Jerusalem. The reason has something to do with its multiculturalism: A powerful mixture of numerous Etruscan remains, Renaissance heritage and a Jewish community that was able to survive thanks to its proximity to the Duchy of Tuscany and the Papal States (the synagogue is definitely one of its most beautiful treasures). You can't say you know Tuscany if you haven't visited Monterrigioni. Not too far from San Gimignano it's possible to visit this beautiful town on the top of a hill, which is easy to visualise from the road thanks to its peculiar circle-shape fortified wall. If you are looking for a real medieval scenario very closed to Siena, this is your place. Some of the venues not to miss are the Accademia Chigianna and the Palazzo Salimberi. After your visit you will probably understand why this was the scenario chosen for films such as Life is Beautiful (1997) or Gladiator (2000). Probably because it's enclosed in 13th century walls, Anghiari is simply perfect. Walking along its narrow streets you can breathe the air of glory and history. Anghiari is another town that still preserves the ancient atmosphere of a medieval place thanks to the numerous centenary houses and some occasional bell towers that reminds us that we are in Italy (the town is mainly known for its steep streets and its famous battle). Don't hesitate to visit: Palazzo Pretorio and Badia di San Bartolomeo. 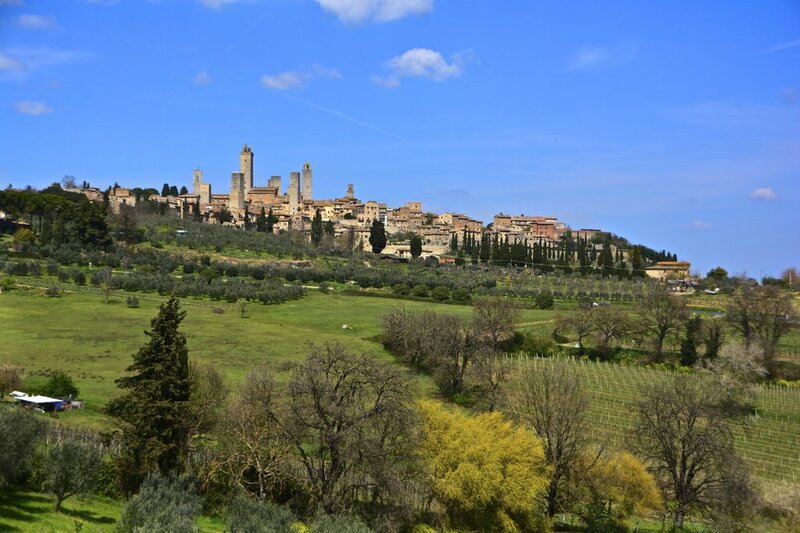 Travellers say that San Gimignano is like Manhattan, but from a medieval perspective. The reason why is because here visitors will enjoy a skyline of towers, in this case, millenarian towers. This small walled town was declared a UNESCO World Heritage Site thanks to its Romanesque and Gothic architecture. Once you have reached the top of any of them, don't hesitate to pop in at one of the many pizzerias or gelaterias available in town. Top tip: the best way of knowing the town is literally getting lost around its narrow streets. Don't miss top scenarios such as Palazzo Comunale, the Collegiate Church.